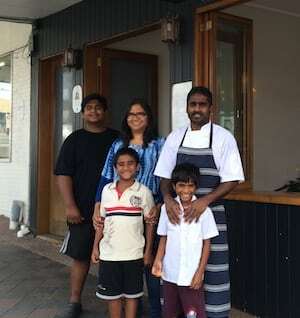 Carol Ramachandran rushes through the restaurant door, sits down at the table and apologises for being a few minutes late. She is the mother of four children, in full-time employment, and also helps run the family’s new restaurant, Mulan. She has given up her lunch hour to chat about how, in amongst all her other commitments, she recently made the time to successfully complete her Certificate in Bookkeeping. Under the circumstances, there was really no need for her to say sorry! Carol and her husband James (Mulan’s head chef) emigrated from Penang, Malaysia in 2001. She was an extremely experienced and competent financial administrator, having set up and run systems for tax, payroll, reconciliation, stock flow, and profit and loss. She had several diplomas in accounting and business studies, notably from the London Chamber of Commerce & Industry (LCCI Malaysia) and the Association of Business Executives (ABE). Having found The Career Academy via Google, Carol immediately felt better. The cost seemed reasonable and the interest-free payment plan was very appealing. She also liked the flexibility of studying online at home. An introduction to Fringe Benefit Tax (FBT). Students receive free trial versions of MYOB and Xero so that they can gain experience of both systems. Achieving her certificate has given Carol a new level of confidence. As well as a better overall understanding of today’s accounting systems, she feels more self-assured at work and knows that she can genuinely support the family business. Ultimately, Carol would like to become an Accounting Technician. She is therefore continuing her incredible juggling act, having just signed up for her Accounting Pathway Program. Previous post: The evidence is in the piece of paper!